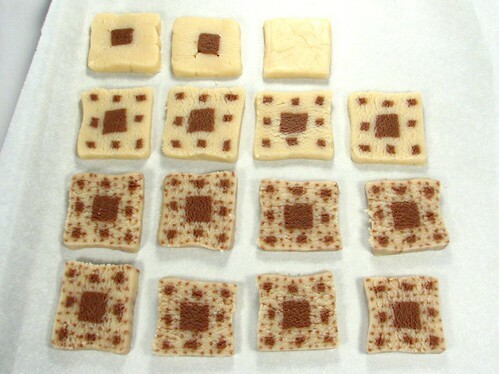 I'm working on my next batch of science cookies, they require a lot of drying time between icing so it is probably going to take a few days work. (Note: my dodgy circuit board cookies are not the current project, they are just a little side science cookie I played with a while back.) 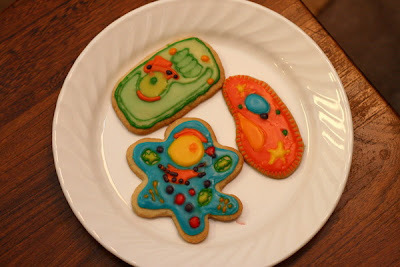 So, until I finish this next round of baking and icing science cookies, I thought I would do a science cookie round-up for all the eager science cookie fanatics out there. These are some of the cookies I've stumbled across or have been sent to me and I love them. Popularizing science through baking is a very good thing. 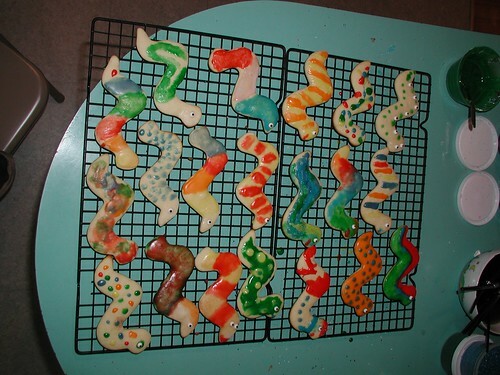 If anyone would like to do, or has done a little science themed baking, e-mail me some cookies and I'll be happy to post them in the second round-up. So, lets get to the cookies! Starting with these awesome cookies by Katy. 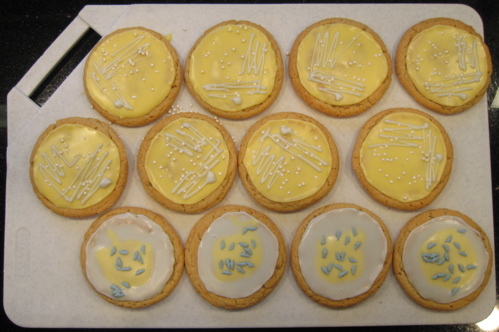 I think it was worth covering her kitchen "in powdered sugar and chunks of icing ribosomes." I just love that warty toad. I love it! Just re-tweeted this. Woohoo for edible science! o! my! goodness! those are fabulous! i love the trilobites!!!!! and the periodic table. I added their names to the post to give credit to all that hard work. Very creative. 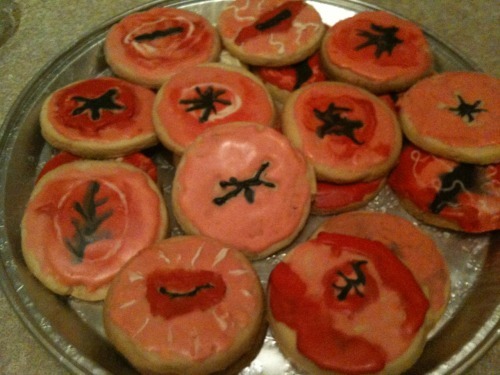 I might have had a better grade in science if they had put the material on cookies. Wow! I love all the flask cookies and this periodic table is BEAUTIFUL!! I'm loving the PCR.....and your soldering skills are to be admired Ms Humble! Awww...the periodic table cookies hold a very special place in my heart! :) Can't wait to see the cookies you've been working on. this is brilliant! I'll make some. I just stumbled across your blog - love it. These science cookies are great, but I especially love the periodic table ones. I love the trilobites the most! So cute. My boyfriend would freak about those circuit board cookies! LOVE these science cookies!!! Great round-up! 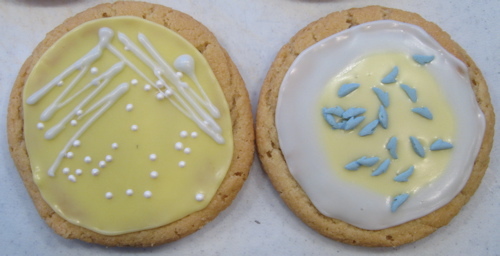 The thought to make science cookies never entered my mind. I really want to whip up a batch of sugar cookies now and give it a go! Great inspiration! Wow these cookies are great!!!! 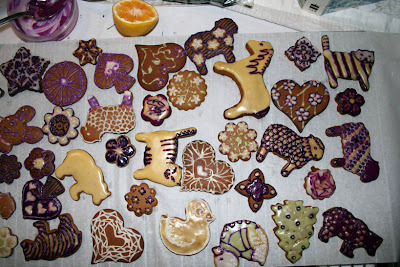 I went to the Prophet of Bloom Blogspot to find the secret to the natural food dyes for the cookies picture above -- could not find. . .do you have the specific recipes. Oh I just noticed this! Thank you so much for posting my cookies! Inspired by your containment suit cookies, I baked gingerbread Marsonauts to welcome my husband and his crewmates back to "Earth" after two weeks at the Mars Society's Utah research station. Greatly appreciated! And fun to do. Photo at my LiveJournal post for January 23rd (more on davidlevine's). the best scientific cookie post ever! P.S. I made Periodic Cupcakes for my birthday, but I made them from scratch, frosting and all! Science cookies! What a great idea. Finally a real reason to frost cookies. Love the circuit boards, flasks and beakers, and periodic table. Thank you so much for inspiring me and my friends to try this with our own spin! Wonderful! Just wanted to point out that such baking has a long tradition: according to the Oxford Dictionary of National Biography, Austrian scientist Ida Freund (1863-1914), a chemistry lecturer at Newnham College, was noted for her creative teaching and encouragement of women students. 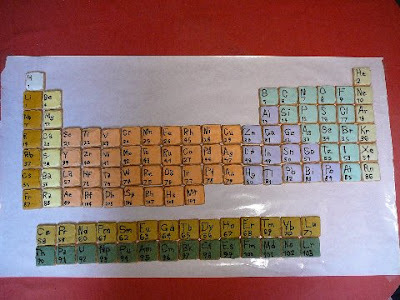 Her "stunts" included making a periodic table entirely out of cakes, with the numbers made from chocolate. hi guys ... I was very pleased to read the information in this article ... was of great interest and would love to get a lot more information about "Watch the World(s)." Can't wait to make one of these. Eat, Love, and Pray Science! Wonderful! Thank you so much for inspiring us.